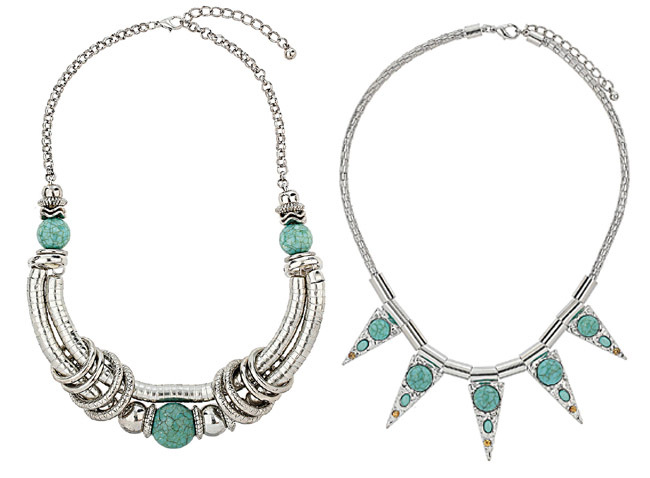 Highstreet Highlight: Statement necklaces . 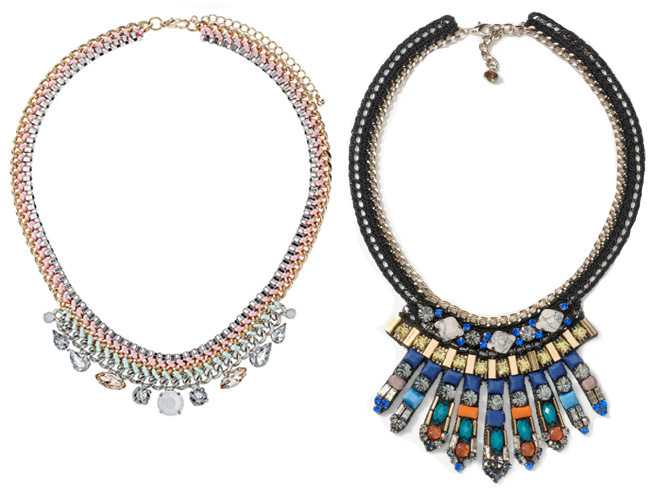 . .
Short, statement necklaces allow us to dress up even the most basic outfits whilst expressing our personalities - what's not to love? 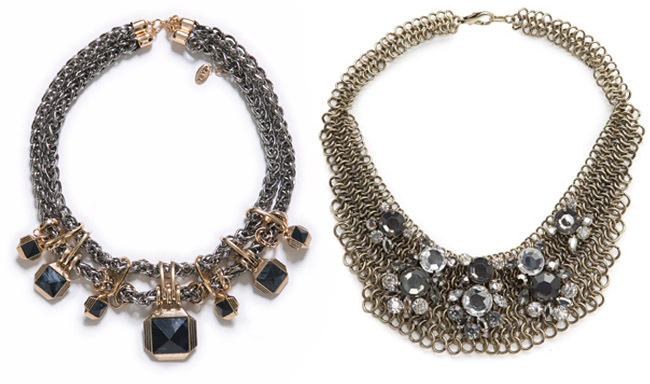 Here I've put together my pick of reasonably-priced statement necklaces from the British highstreet. I've included a range of styles, with most coming from easily accessible stores such as Dorothy Perkins, Zara, Accessorize and Forever21 with a price tag under £20 (...please forgive the one sneaky necklace from Anthropologie. I couldn't resist!). I hope this selection of highstreet highlights has given you some idea of how you can get involved in on of jewellery's hottest trends whatever your budget or style. 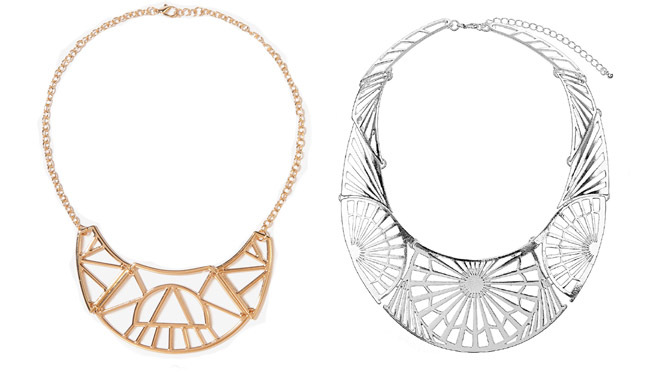 Let Lily Know: Which, if any of these picks is your favourite or where have you found your ideal statement necklace? Very keen on quite a few of these but especially the top left Zara beauty, such fantastic patterns! 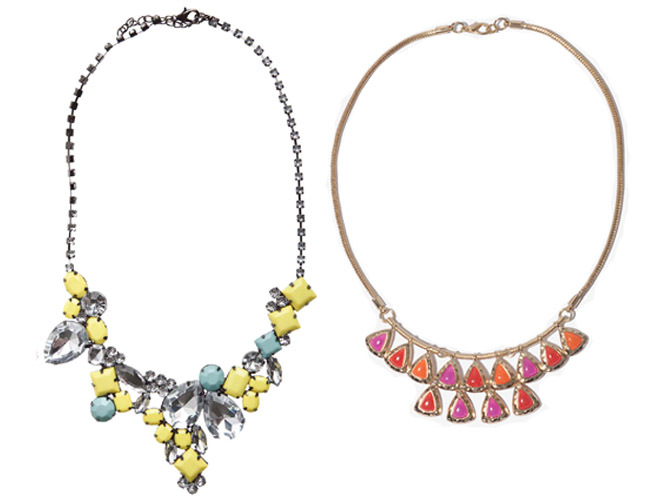 Jewelries are designed in trendy manner by the jewelers of high repute, these days. They also manufacture ornaments, which have designs of the old world. 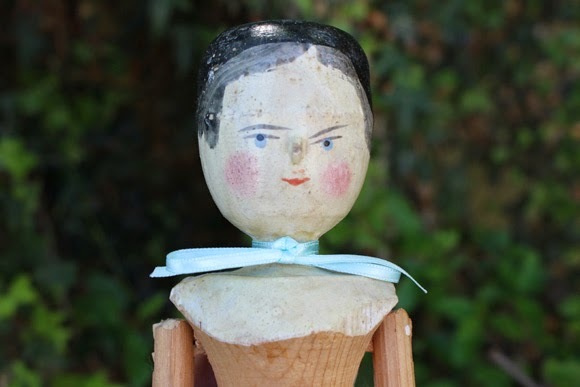 These types of ornaments are becoming very popular these days in many parts of the world, due to their authenticity. The ornaments include bangles or bracelets, earrings, necklaces, anklets and many others. When you are traveling, you may want to wear ornaments having light weight, as you want to enjoy your ride. The Tresor Paris Jewelry will fulfill your wish on that front. You will be able to feel comfortable wearing the ornaments. The ornaments are beautiful and fashionable too. There are many ornaments in this world, which may seem trendy and attractive, but when you wear them, you will feel uncomfortable. In that situation, you cannot be your own self. You will not be able to give your best in any demanding circumstances, as you will not have the confidence with the ornaments on. Tresor Paris ornaments not only provide you with comfort, but also fit you perfectly, as it should be. There are ornaments for both men and women in this world. The ornaments for women are relatively heavier than those of men. Men’s jewelries are more attractive these days, than those of the erstwhile ages. Men can wear the ornaments, such as rings, earrings and many others to different types of parties. They also wear the items, while they are travelling. The ornaments, provided by the reputed manufacturers, aid them make strong style statements. They become the centre of attraction in buses and trains or wherever they travel to. The women wear bracelets to enhance the beauty of their arms and hands. These days these ornaments come with diamonds and other extremely precious stones. This increases the price of the ornaments, which makes it unreachable to the middle class. The Crystal Bead Bracelet provided by Tresor Paris and other manufacturers of trendy ornaments are made out of semi precious stones. This makes the ornaments very much affordable to the middle class. Moreover, crystal is quite light in weight, which will make it comfortable for the ladies to wear them on their arms, facilitating them with a lot of enjoyment. They will be able to acquire the ornaments online. You will find very few companies providing ornaments, which heal you of any diseases. The Tresor Paris Jewelry heals you of many diseases. The most significant fact is that the ornaments from the company heal any woman from breast cancer. In today’s world breast cancer is becoming very common among women. There have been a lot of talks going on about how to get cured from the disease. The ornaments can be the answers to many questions relating to that issue. So, you will be able to cure yourself from the disease, by wearing the ornaments, while you are travelling to any nearby place. Resource Box: Log onto http://www.tresorparisjewellers.com/, if you want to know more about different types of Tresor Paris Jewelry. The Crystal Bead Bracelet, provided by the company is very trendy and elegant to look at. Recently came to your blog and found it great !! 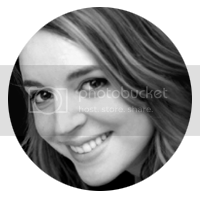 I work with GemPundit.com and love to give compliment. I want your contact details too. 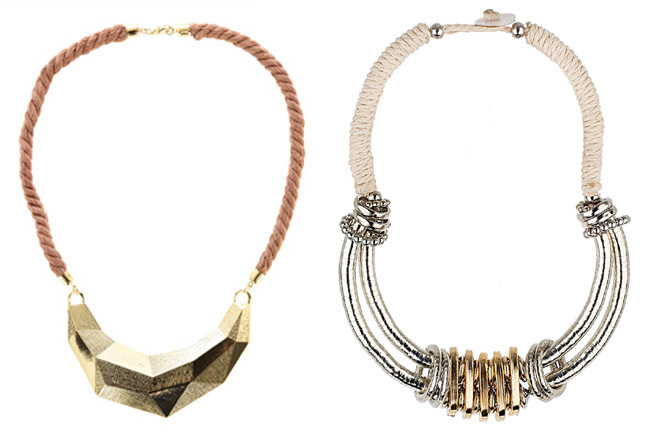 The statement necklaces displayed above are stylish and beautiful I must say. 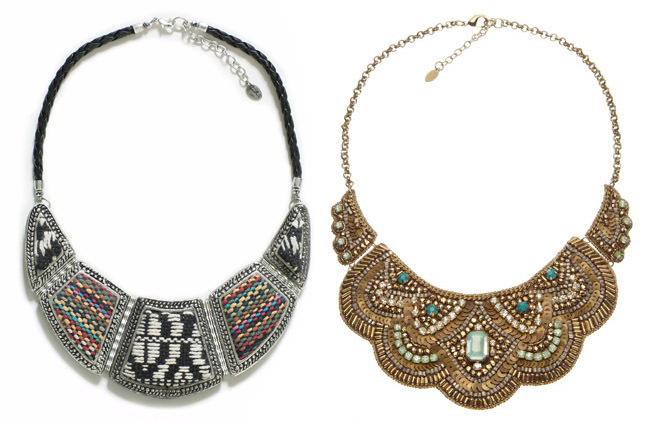 I love statement jewelry pieces, especially the necklaces. I have got bored with my old statement necklace so few days back I purchased a new silverware statement necklace. I couldn't have been happier than when I received this stunning statement necklace from http://www.kilkennyshop.com/newbridge/jewellery/silver-collection.html. I was not only impressed by the beautiful packaging it arrived in but by the quality of the necklace and how well made it was. Travel: Rome, Italy . . .